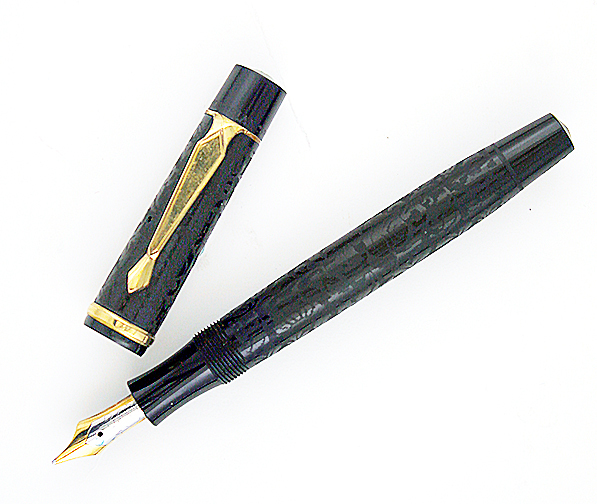 From Catalog #76, we had a 1936 Montblanc Model 124E ”Rose” in black hard rubber. Listed for $10,000, this is a holy grail for Montblanc collectors. The nib on this specimen is a two-toned KF (Kugel-Fine) nib. What is a Kugel nib? This is Montblanc’s ball-point nib with flexibility – beautiful and enjoyable. The pen’s condition is near mint+, except for slight signs of ink in the cap. 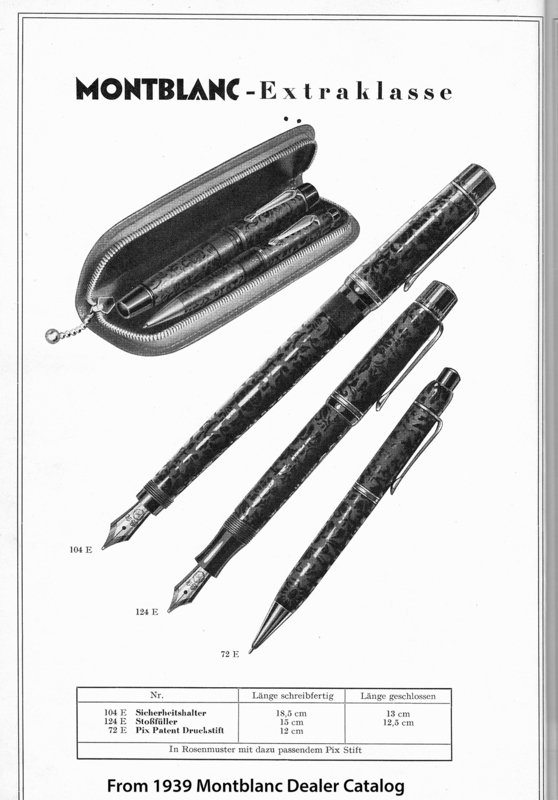 Below is the original 1936 Montblanc catalog page, along with a close up of the pen. Note the unique pedal clip, and the detailing on the cap and barrel.